My list of dungeon mastering gear needs a new addition. 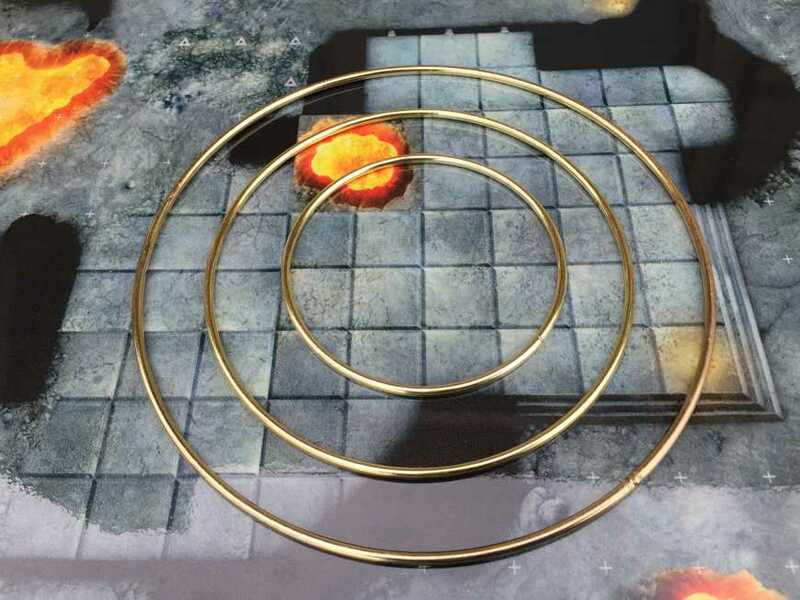 In my original post, I recommended that 3rd-edition Dungeons & Dragons and Pathfinder players use Steel Sqwire templates to determine the area of spell effects. The wires map circular and conical areas to squares on a grid. Back in 2014, I backed a couple of Kickstarters from Jonathan Wilson at Tabletop props. He makes covered wagons, tents, campfires, and dead trees all scaled to match miniature figures. The tent and covered wagon props pleased me so much that I wish I had chipped in for more rewards. The props are now available for sale. Almost as many D&D adventures have PCs guarding wagons as exploring dungeons. During the inevitable ambush, I used to put a dungeon-tile wagon on the battle map. Now I have the covered-wagon prop. The wagon boasts stunning details. The top-half comes off, turning the wagon into a flatbed. The wheels turn. At two squares across and three long, its scale suits the battle map. The tent spans a 3-by-3 square on the map, so it represents a big shelter. The campfire fits perfectly into a square and features translucent flames. The wagon’s $25 price led me to only order one, but I plan to order a second. 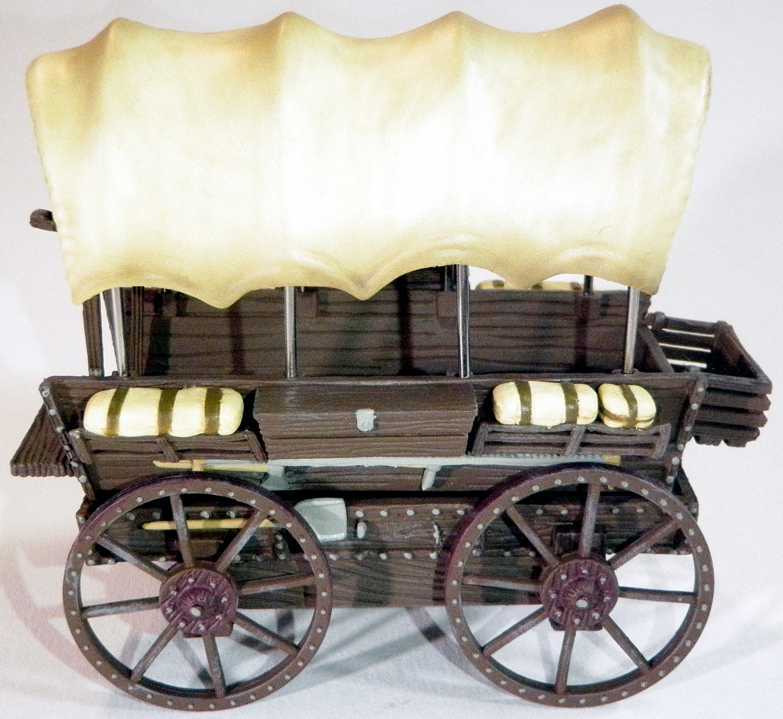 I will use the wagon in many more encounters than any of the more expensive dragon figures in my closet. This entry was posted in Dungeon master's tools and tagged battle maps, miniatures, Tabletop Props. Bookmark the permalink. Another popular and simple device is a tape measure, or a series of strings cut to specific sizes. You pick your point and measure out from there. If the spell has a lasting effect (or if it’s a wall or similar spell that sticks around), you can place markers. I love the Litko plastic ones for this. Very affordable and really compact yet attractive. They have them in smoke, fire, ice, and other varieties. Some of them double as campfires or fire sources. Beautiful stuff, David. This is definitely one of my favorite aspects of D&D: the beauty of a complete set of painted minis and props and dungeon walls, etc. It just looks so cool on the table. If only I could afford to buy all that stuff! Thanks for sharing, David. 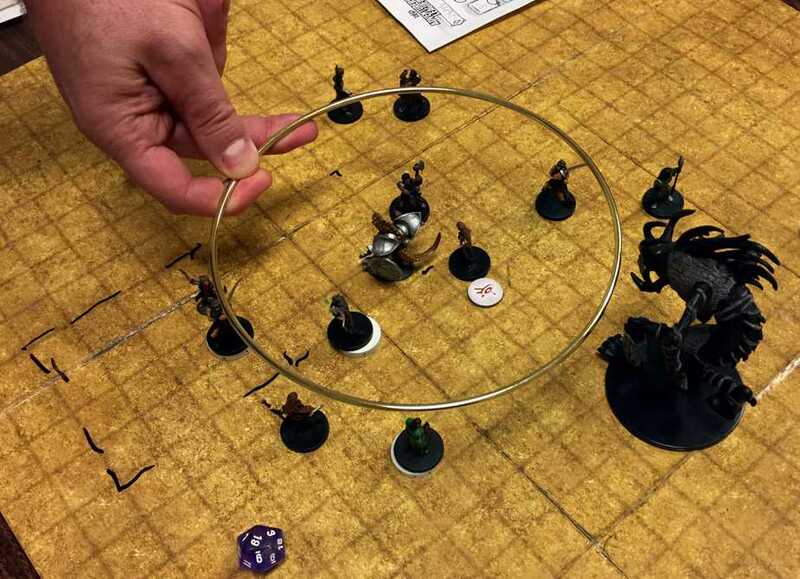 Really good idea with the rings. As far as I can tell, Tabletop props store still isn’t open- they don’t have a way to select shipping. 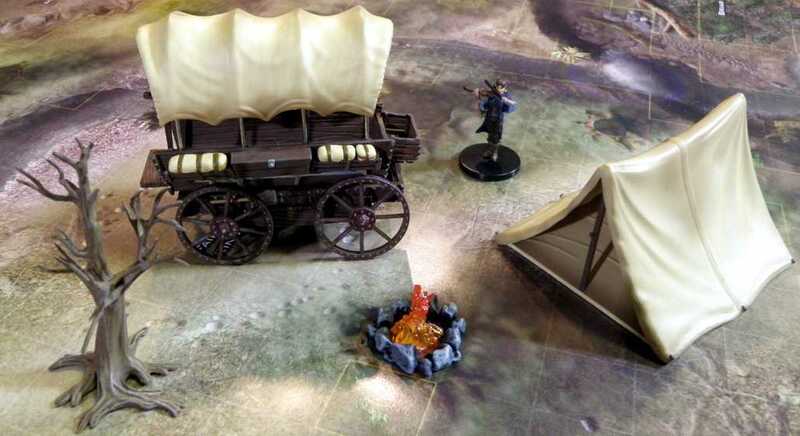 I wish it was otherwise, I love their wagons and need them for an upcoming Ravenloft campaign. I tried to order and used the contact for form to contact them about it before seeing the notice. David linked directly to the order page, so I skipped the home page with the notice. Hopefully it will be up and running soon. I really like the wagon. The tents, however, seem over priced to me. You mention bending your own wire shapes for cone areas and such. That’s actually fairly simple. Get a pair of fairly substantial needle nose pliers with a wire cutter in the jaws. For wire you can use old coat hangers, but they’re intentionally stiff stuff and more difficult to shape (and if you aren’t careful to keep all your bends in the same plane adjustments are not easy). I prefer electrical wire. Usually the gauges for household wiring are good and can be scrounged without much effort. Strip the insulation from the wire or not. (The different colors can be handy.) And simply grip at the point to be bent with the pliers. Copper is soft and bends easily. The only problem you might run into is that repeated bending in the same spot will quickly harden the metal and it could break. Usually not much of a problem for this purpose. If it is for some reason anneal it. If you need, message me and I’ll explain how. Brass rod from Hobbytown is what I used. Don’t remember which size, but it was roughly the same size as some metal coat hangers. If you don’t mind, what gauge wire do you recommend?